A Cabernet dominant blend, this ensemble cast of 4 classic Bordeaux varieties (Malbec, Petit Verdot and Cabernet Franc) from our celebrated Viking Vineyard demonstrates the precision of fruit character from these mountain grown grapes. A textbook expression of mountain grown grapes the wine is a laser beam of crisp edged fruit purity, violet aromatics and salivating flavors of just-picked black cherries and blueberries with crystalline minerality and finishing notes of extra dark chocolate and vanilla bean spices. Recommend decanting for current drinking, will move into a willowy congeniality in due time, developing silky textures and further integration of fruit and oak. Drink through 2030. The wine is sappy with a towel snap of fresh natural fruit acidity and a restrained coil of inner energy, ultimately unwinding to reveal a fruit precision of black cherries, Earl Grey tea, Asian spices and sandalwood leading to a long, lush, voluminous finish of lifted dark fruit. Its current youthful ardor is embellished by aeration, drink now through 2025. A scent expert known as “La Nez” (the nose) would be in berry heaven with this wine. Hearty dark fruit aromas are confirmed in the waves of luscious flavors (think of extra ripe blackberries, boysenberries and olallieberries) that saturate your palate with a super-rich quality, approaching fruit preserves improved with sweet baking spices. The wine captures remembrances of grandmother’s berry cobbler cooling in the window sill, finishing with a brooding soft succulence accented by shavings of milk chocolate and cedar wood. Drink now through 2024. The final blend is a result of many trials and seeks to achieve parity with previous grape compositions, ultimately a savory concoction, fruit at the core with earth, mineral and a sense of meaty complexity. Expressive aromas of blackberries and a subtle roasted meat, herbs-de-Provence quality are restated in the supple textured, well integrated flavors of dark berries, bouillon and smoked herb-olive paste. Drink now through 2020. 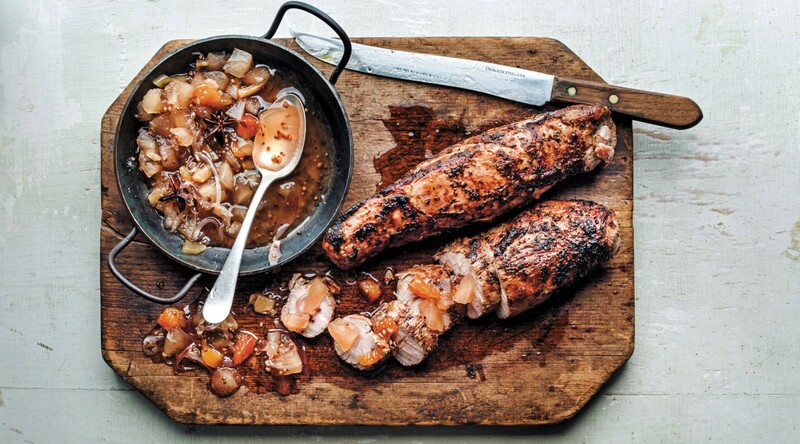 Aroma: Plum and blackberry conserves, roasting meat juices, wild thyme, wet earth. Deep and brooding, the finished wine is jet black, an opaqueness hinting at its dense core of black fruits, crushed black berries and plum sauce dusted with cracked pepper, chocolate shavings and developing hints of meat glaze. Great ageing potential here, drinkable now for its pure primary fruit flavors, yet will reward patience, enjoy through 2026. The wine is star bright with greenish-yellow glints, giving off aromatics of citrus rind, pineapple and wheatgrass leading to crisp, pungent flavors of lime and grapefruit, finishing with length and a taste of preserved lemons and tropical greenness. Best enjoyed in the near term, drink through 2020. First impressions reveal a scent of sweet earth, toasted cedar and a compote of Indian spiced fruits. More of a Cote Rotie style, the wine has the plushness of macerated dark plums and the confit richness of a slow roasted cassoulet, leading to a seductive creamy finish of more dark fruits, anise, pleasing warmth, and the first whiff of roasting coffee beans. The Block 6 is best enjoyed through 2020. A drink-now, lightly colored wine, it combines the aromatics of rose blossoms, anise and just picked wild strawberries. Throughout, it maintains succulently deliciously flavors of tart red plums, pomegranates and cranberries dusted with white pepper. Serve on the cool side (60 degrees), best appreciated in the near term for its appealing primary fruitiness, it is the wine to take on a first date, enjoy through 2021. The epitome of mountain grown fruit, this year’s Signature Cabernet Sauvignon displays a whiplash of vibrant red and blue berries (a woven garment of raspberries, ripe cherries and blueberries) in a ‘Pandora’s Box’ of Christmas spices and fresh cedar -- bound in an “iron fist in a velvet glove” tension, crisp-edged fruit and a diamond-like tensile strength in a magnetic embrace. The wine possesses an immediate debutante attraction belying its potential 15 year ageing potential. No need to wait but patience will be rewarded as the wine blossoms into full maturity (in a 3-5 year window), drink through 2031. As we near the next round of bottling, the lab is filled with sample bottles, calculators, and our winemakers tasting and re-tasting the up and coming vintage. I sat down with the winemakers to discuss how they create the wines and final blends. Find out more. Winemakers: Winemaker Jeremy Weintraub (JW) and Assistant Winemaker Ryan Bosc (RB). Q. How do you prepare for the bottling process? RB & JW. At Adelaida, we bottle three times a year and we start “creating” the wines about 2-3 months before that. For our next bottling in April, we start pull-ing samples from each varietal batch in mid-February One varietal will have many batches; examples include different vineyard blocks, different harvest (picking) dates, and different fermenters of the same varietal (one batch will include several barrels). We taste through each group and rate them based on balance, flavor, aroma, and quality. About two weeks later, we take more samples and start combining the batches of the same ranking to create a base wine. From there, we will add more or less of certain batches to create balance, bring out aromatics, or soften tannins. This is where we create a “rough draft” of the final wines. A few weeks later we bring every barrel up to the cellar to taste them indi-vidually before putting them in the tank. Since we have only tasted the wine in batches, this is the first time we taste every single barrel (which can be up to 150 different barrels). By doing this, we are ensuring that each barrel is going to its appropriate blend. Q. How is the process different when you are making a single varietal like Syrah vs. a blend like Anna’s Red? JW. 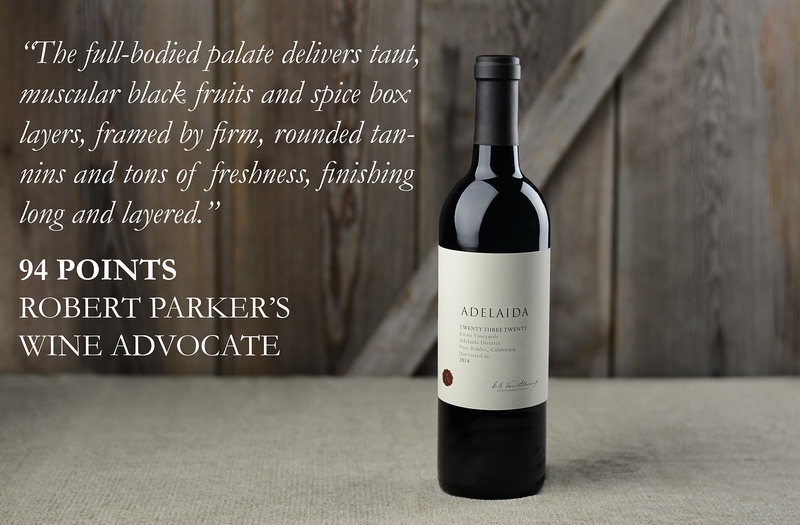 All Adelaida’s wines are “blends.” Even if we are making a 100% Sy-rah, the bottled wine is a blend of different barrels, different blocks from the vineyard, and so on. The process is very similar but sometimes we are blending batches of the same varietal and other times batches of different varietals together. RB. And sometimes the single varietal takes more time and more blending trials because we can’t just throw in another varietal to add more balance or color or whatever we feel would enhance the wine. It must come from within batches of that varietal. Q. What is your inspiration when it comes to a blend specific wine? Do you try and use the same varietal mix year after year? RB. We take inspiration from the previous years’ blend but in no way try to recreate it. Each vintage is different and therefor no wine or blend can be recreated the following year. That is what I love so much about wine and winemaking. I am inspired by the freedom to make a different and hopefully even better wine the next year. JW. Rather than blend to a known percentage, we look for combinations that speak to the vintage, and so one year Mourvèdre may be the dominant grape and the next year it might be Syrah. Each batch has its own personal-ity and our goal is trying to find the personalities that work best together. Q. Since you are currently blending the Rhône’s varietals how do you go about holding back certain wines or barrels for future wine? Ex-ample: Syrah for the Cabernet Sauvignon/Syrah. JW. We hold back barrels that for one reason or another have potential for a future blend. It’s hard to pinpoint exactly why we hold back certain bar-rels and not others. It’s a feeling rather than a method. RB. When we taste through each barrel there are a few that really stand out. They are exceptional because they are the truest representation of the vintage and of that particular varietal. These are the barrels that we hold aside for 2320 and Cab/Syrah. Like Jeremy said, it’s not a math equation it’s more a feeling you get when tasting these barrels. Q. What is your favorite part of the process? RB. When Jeremy and I have been blending for a few hours, we don’t even have to say anything to each other we just nod and understand that “this is it”. A complete, balanced, and elegant taste; well... the wine we have been searching for! JW. Like I said about personalities earlier, all of the different batches have to work together in the end. The best part is when we arrive at a wine that is greater than the sum of its components. Q. What is your least favorite part? JW. Not pulling enough of a sample and having to go back into the cold cellar! RB. When my friends and family think I just drink wine all day. I mean I do but there is a lot involved. Q. Is there a particular blend or wine that you look forward to every year? JW. I don’t have one in particular. 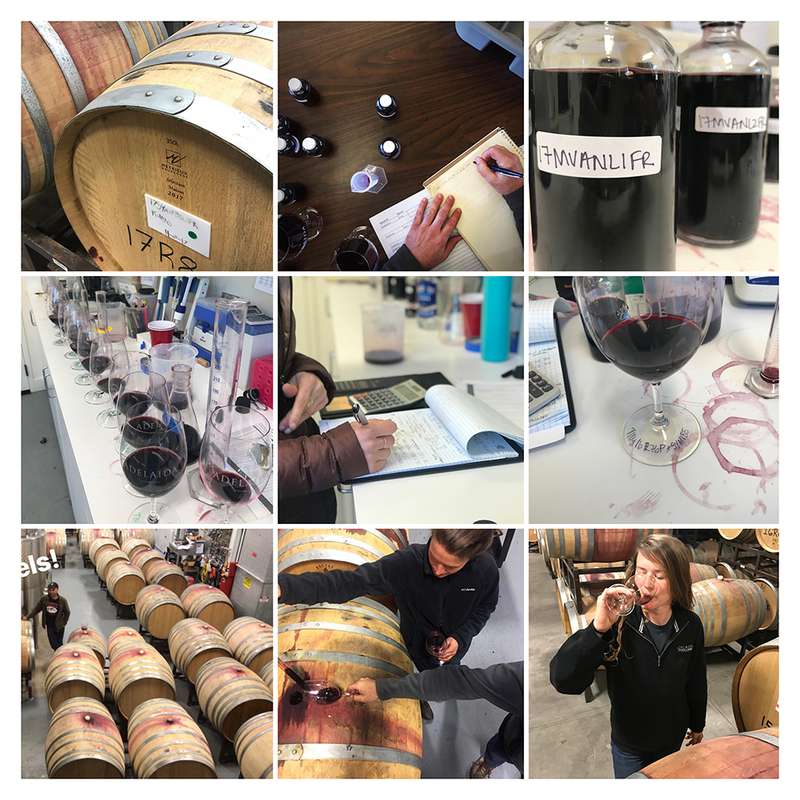 I just love that through the process you get a really good idea of what a particular vintage is like and you learn a lit-tle more about how different barrels and fermenters affect different varie-tals or specific blocks in the vineyard. RB. I have two. The first is our Viking Syrah – I love this wine because the vineyard and the site speak for itself. It is a wine that has a true sense of place. The blend is made pretty much as the grapes are delivered from picking early in the morning. The vineyard team makes our job easy. I also love making the 2320. Each blending/bottling session we taste through every barrel and choose those barrels that speak to us of the vin-tage and of the true varietal. These barrels are held aside for the 2320. Our hope is that the selected barrels come together in the final blend. It is magi-cal when the individual barrels sing together to create an incredible wine!